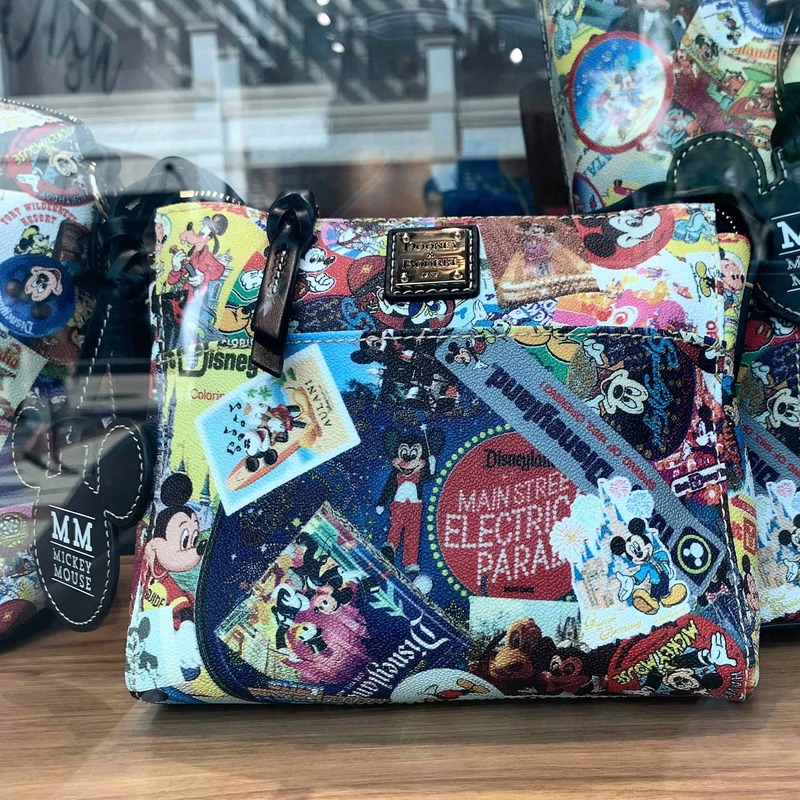 The Mickey Through the Years Collage Collection by Disney Dooney & Bourke will be released Friday, April 5, 2019 at Disney World, Disneyland, and possibly online at shopDisney. Here’s a preview of the 3 silhouettes and exclusive MagicBand from this collection! 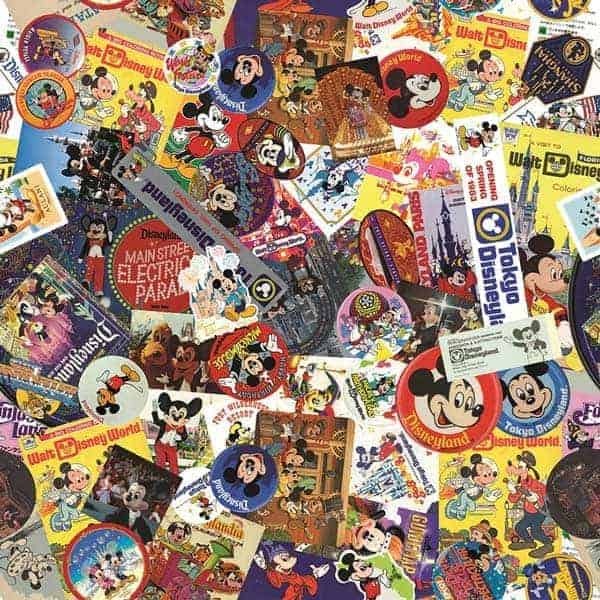 Until we have an official name, we’re calling this Mickey Through the Years Collage 2019 because it features photos of past Mickey Mouse stickers, button, brochures, postcards, luggage tags, and park guides from all over the world, including Tokyo Disneyland Resort, Disneyland, Walt Disney World, and Disney Cruise Line. 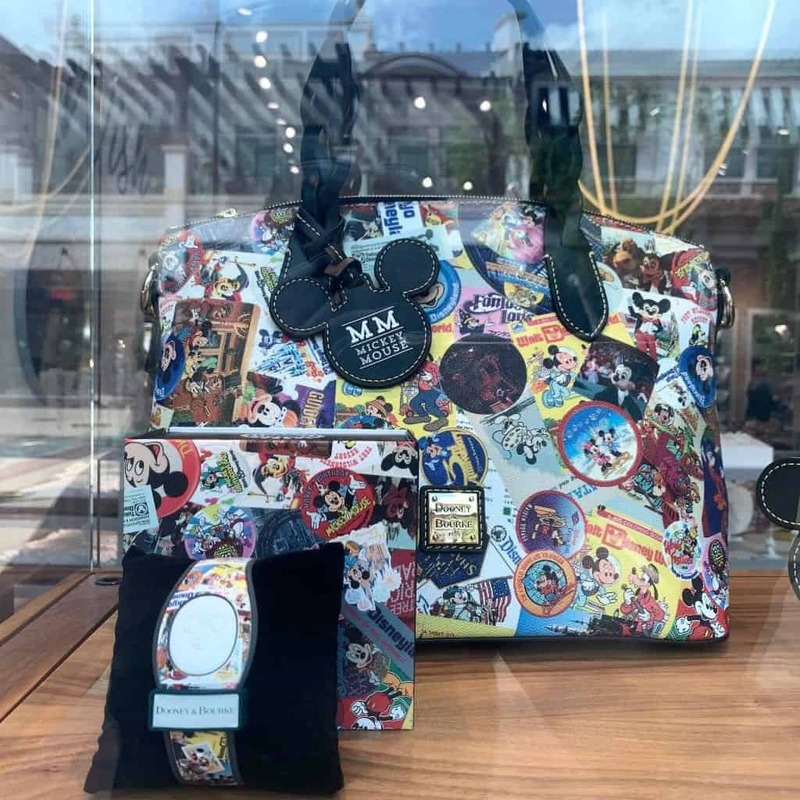 The collection also comes with the “MM – Mickey Mouse” leather hang tag from the Mickey Through the Years 2018 – 90th Anniversary and 2019 Mickey Mouse Through the Years Collections. We were very happy to see a crossbody letter carrier will also be released in this print. 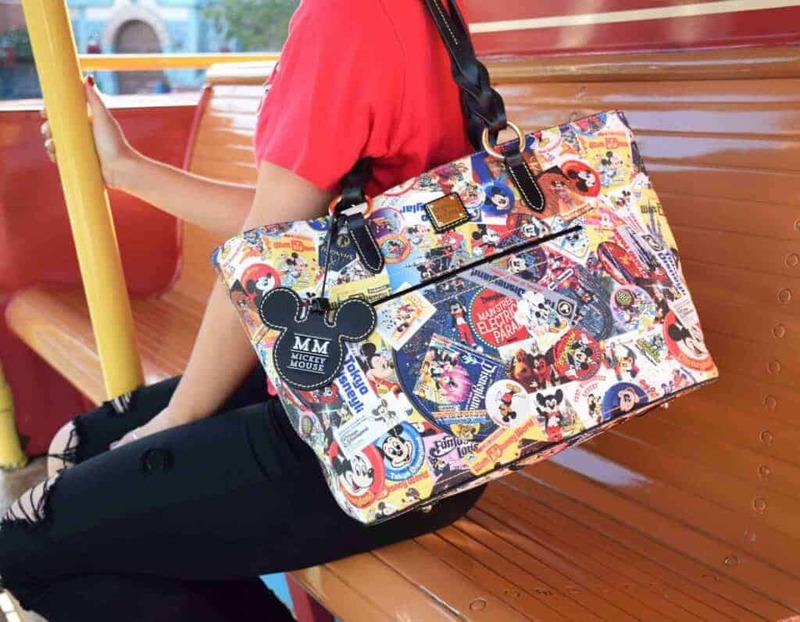 Crossbody bags are still our favorite park bag! 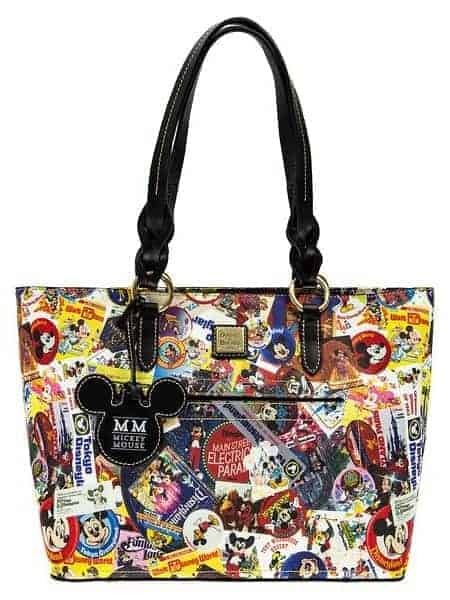 We’ve been drooling over this tote for months now! 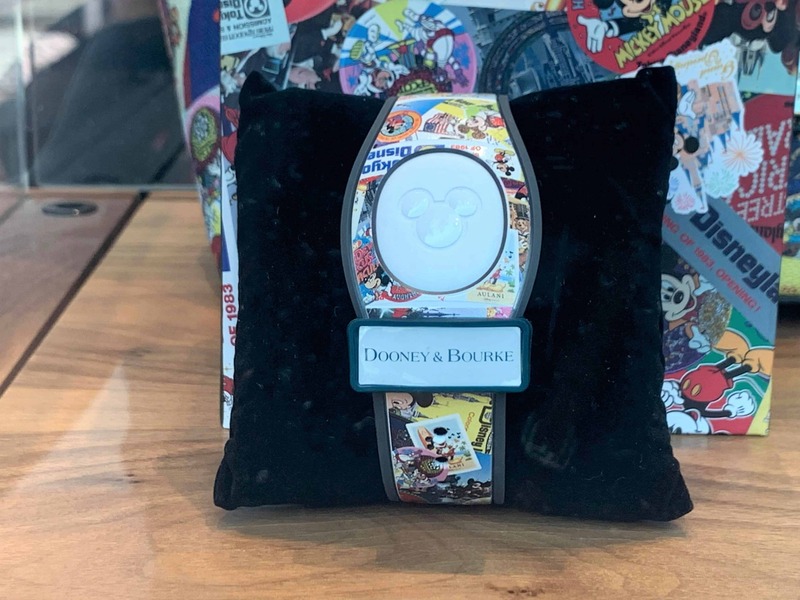 The most welcome surprise of all is there will be a new MagicBand for this collection! 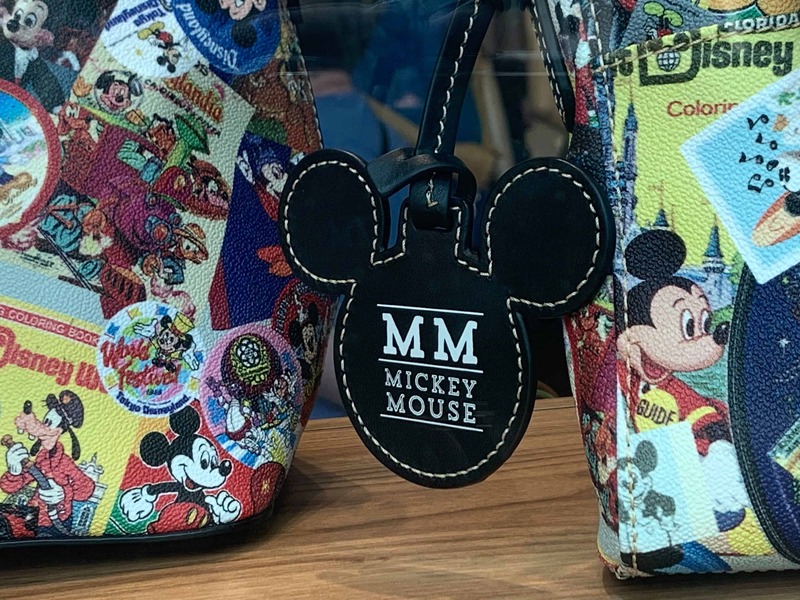 As we mentioned, we expect this collection to be released on Friday, April 5th so keep an eye out on shopDisney for these items to make an appearance!